MacArtney & ION have developed a SailWing actuator and control system designed to ensure the correct positioning and stability of seismic survey source arrays. The product has been launched to gather data for enhanced exploration and production of oil and gas. MacArtney has provided six customised SailWing actuators for use in a control system for ION Geophysical. 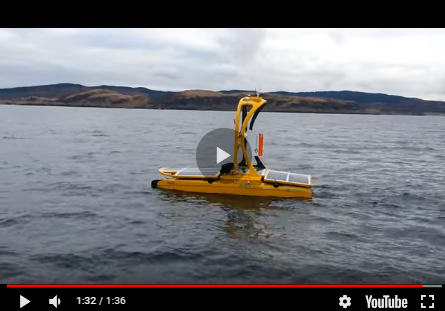 The technology is designed to control sources towed from a seismic vessel gathering data intended for 3D interpretation of the subsurface, in search of oil and gas. Traditionally, source arrays are stabilised by a complicated connection of ropes and deflectors. The SailWing actuator is installed in each source head float and controls the SailWing angle of attack, which stabilises the array with software controlled adjustable lift. 3D surveys repeated over time (4D) provide critical information to allow the optimisation of fields over their lifetime. Improved source stability means the signature from the source is more repeatable, survey after survey, which in turn delivers better 4D information. Additionally, the SailWing ensures costly downtime is avoided during source maintenance and repair since neighbouring sources can be navigated to a safe distance for trouble-free maintenance and quick redeployment. Control of SailWing happens via ION’s Orca or Gator navigation system interfacing with the electronic control rack which then communicates with the actuator, signalling the mechanism to adjust the lift provided by the SailWing. MacArtney has designed and manufactured the actuators, control system topside rack, power supplies and a remote control box allowing for manual control of each SailWing. This customised solution has broader applications, enhancing the MacArtney portfolio of custom designed and manufactured products shaped to their customers’ needs. As a full system solutions provider, MacArtney supply custom solutions to a wide range of marine industries from offshore oil and gas to the renewable energy sector, ocean science institutes, civil engineering, fishery, defence and navies around the world.